I love living in our village. It has a real community feel about it. 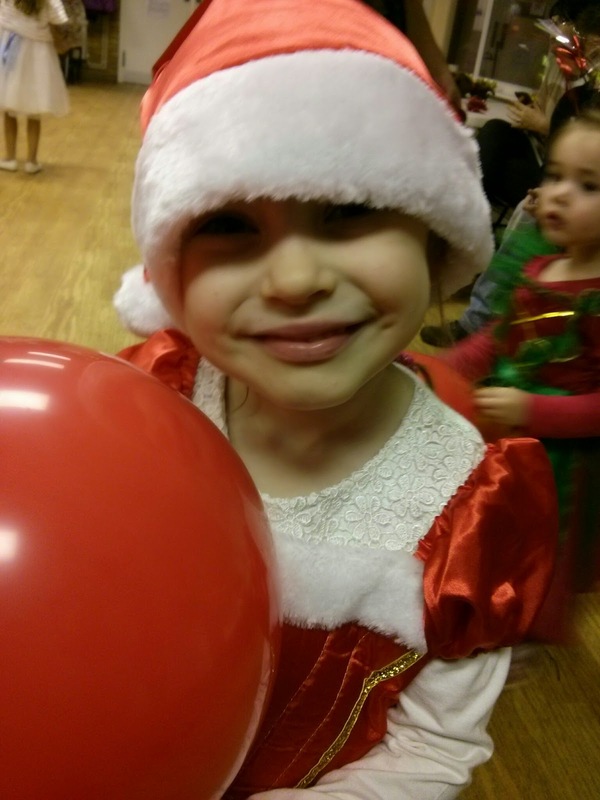 This weekend was our village Christmas party and the girls were very excited to attend. They were told they could dress up and they both wanted to be 'girl' Father Christmas, as they put it. The girls were very excited and wasted no time in dancing and playing with all the other children. It was lovely to see them excited and playing. 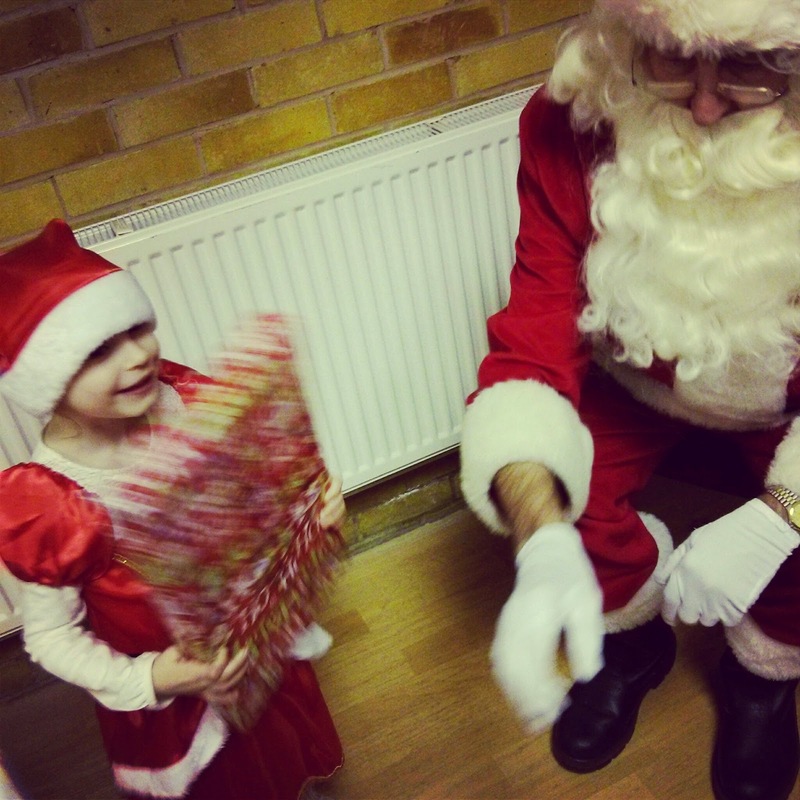 We couldn't have a Christmas party without a visit from Father Christmas. The girls were very excited to see him and my eldest made sure she mentioned to him that she would like a bike for Christmas. 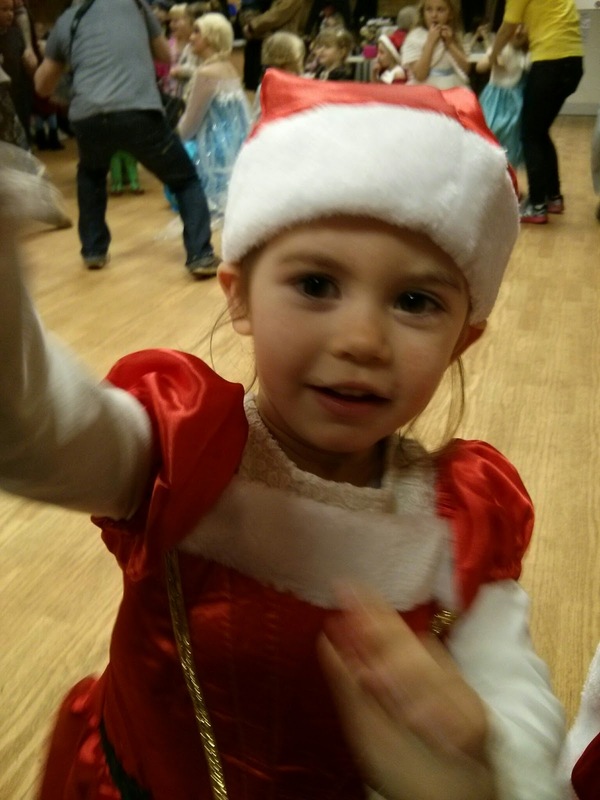 The girls got back to dancing after their visit to Father Christmas, when the song 'Let it go' came on. Everyone was on the dance floor and it took a while for them to notice that Elsa had walked in. I don't think the girls could believe their luck, Elsa and Father Christmas in one night! It was such a wonderful evening. 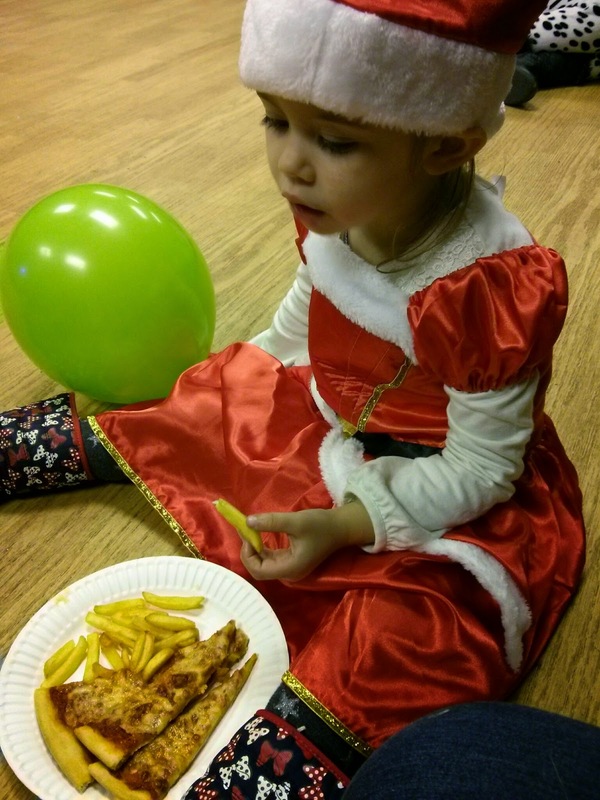 Both girls had a lot of fun and I think their dreams came true with Elsa and Father Christmas in one room. 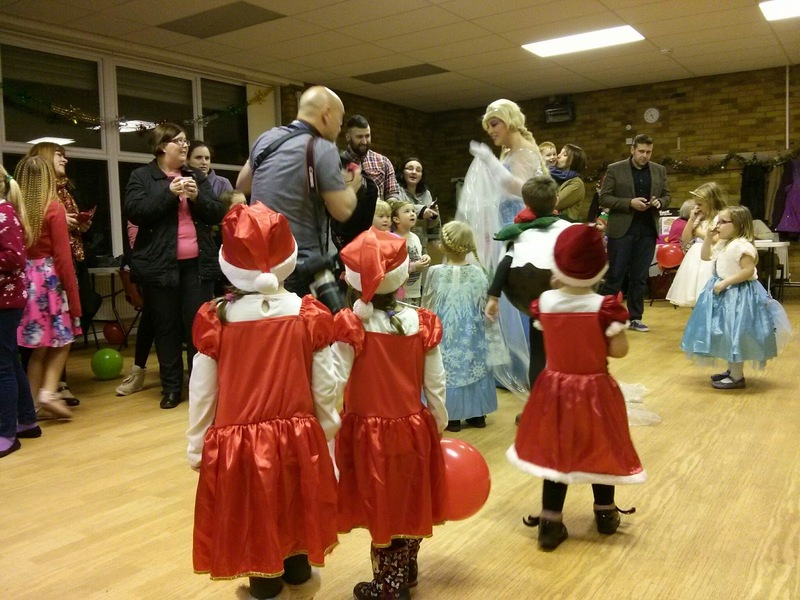 My youngest in particular spent most of the evening dancing with Elsa.